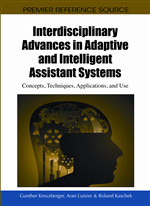 This chapter focuses on analysing system utilisation patterns, in connection with the use of the “Movement and Training” knowledge management system. Developed with the aim of supporting teaching courses at university level, or more precisely their preparation, realisation and follow-up, this web-based system is free of charge and has been available to a general educational audience since 2005. The authors present an analytic approach, which, in the first instance and from the user’s perspective, illustrates whether the intended utility and added values for instructors and learners have been achieved. A further intention was to identify any potential barriers that would obstruct utilisation of the system. In combination with basic theoretical principles and empirical findings relating to knowledge management, the authors derive implications for modifying the system with the aim of facilitating its future use. With the rapid dissemination of new technological possibilities in all areas of society, the utilisation and application of new information and communication technologies (ICT) is also increasingly becoming a focus of attention in the education sector. The Federal Ministry of Education and Research (Bundesministerium für Bildung und Forschung – BMBF) postulates that computers and the Internet can even be considered as commonplace tools in the education system. This applies equally to schools, vocational training and further education, as well as to higher education. In this connection, the focus on the path to a globalised economy and knowledge society also applies to the “reorganisation and redefinition of learning processes that have so far been dominated by social interaction through the increased use of [Electronic Data Processing (EDP)] technology as a teaching and learning medium” (Heine & Durrer, 2001, 2 (translated)). But to what extent has the use of digital information and knowledge objects in fact already become part of everyday teaching and learning activities at German institutes of higher education? In this chapter we aim to explore this question, taking as an example the discipline of sports science, based on a specific systems development project. Two perspectives are anchored within the scope of the project “eBuT – eLearning in der Bewegungs- und Trainingswissenschaft” (eLearning in Movement and Training Science), supported by the BMBF: the perspective of the learner and of the teacher. For pragmatic reasons, teaching-learning modules were developed for learners, and separately a multimedia database was designed to store the digital material to support lecturers during their apprenticeship. While teaching-learning modules cannot be used according to their original purpose during a seminar, a lecturer can use elements of the database as a fallback within a face-to-face seminar, to act as a cognitive anchor for the students. Distribution of teaching materials to a wider educational audience. The whole discussion about learning and teaching technologies is not new, but has its origin in programmed instruction, where teaching and learning machines were common. Indeed, neither the teaching-learning modules nor the multimedia database should be, according to Cube (1968), seen as a “learning or teaching machine” to replace or substitute the teacher. The classical attempts by Pressey, Skinner and Crowder had the purpose of assisting the teacher, enabling him or her to devote attention to “real” teaching duties (Daugs, 1979, 34).